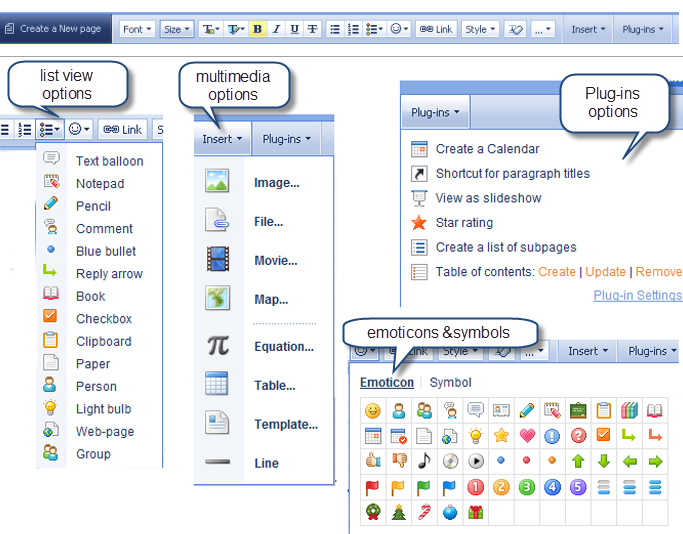 Springnote is a virtual notebook you can explore for personal use or as a collaboration tool. 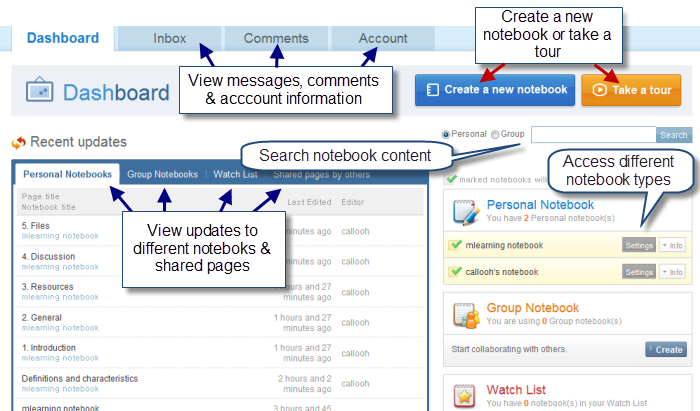 Signing into Springnote gives you access to a multi-functional dashboard as shown below. When you share with selected users, you can designate these individuals as collaborators with write and read privileges, or as readers with read-only privileges. You also can convert preexisting files to Springnote pages through the import feature, allowing you to link to a variety of document types. Finally, you can bookmark selected pages that you return to time and time again. You can readily toggle from edit mode to view mode to see how your notebook will appear to other users. In view mode, your notebook is a nicely formatted Web page. Springnote’s also useful as a mobile learning (mlearning) tool but only if you’re an iPhone or an iPod touch user. 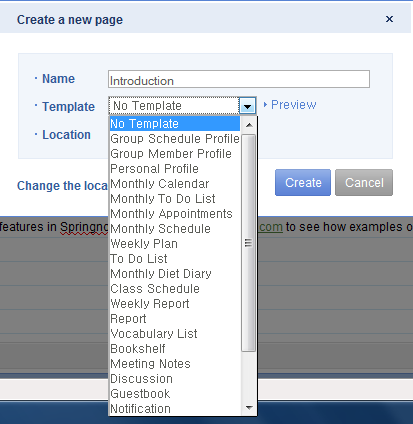 For more information about Springnote, take the tour or check out some public samples. This entry was posted in elearning tools, virtual notebook and tagged collaboration, collaboration tool, elearning tool, free elearning tool. 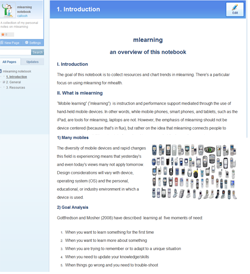 mobile learning, instructional strategies, iphone app, mlearning, multimedia, productivity tool, Springnote, virtual notebook, wiki creation tool. Bookmark the permalink.